Following out from the phenomenally successful two previous sell-out appearances Tim Barry is back! 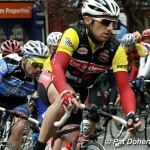 Tim is back to Kenmare for another cycle training camp. 12 noon on Sunday May 15th at the Brooklane Hotel. Cycle technique and drill session.